When it comes to eye makeup removers, I am all about gentle formulas. My skin is a little on the sensitive side, so anything that does the job without irritating it is most preferable. I recently ran out of the Maybelline Clean Express!™ Waterproof Eye Makeup Remover and while I did like it, I was sort of in the mood to try out something else. I came across Neutogena's Oil-Free Eye Makeup Remover a couple of weeks ago at Walgreens. It's oil-free and gentle attributes were enough to pique my interest, so I decided to give it a go. 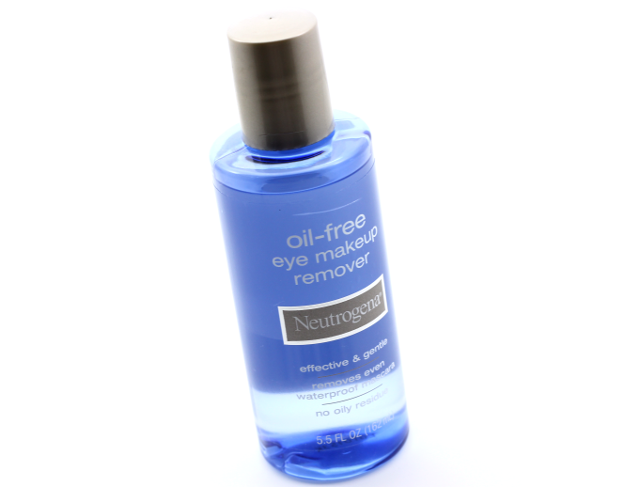 Neutrogena's Oil-Free Eye Makeup Remover is a cult favorite-and for good reason. This stuff is awesome! To use, I give the bottle a good shake in order to activate the dual phase formula. I then dispense a bit of the product onto a cotton pad, and proceed to remove my eye makeup. I appreciate the fact that I don't have to work hard to remove my eye makeup with this. A few gentle swipes with my cotton pad is all it takes to complete the job in a pinch. I don't really sport waterproof mascaras, so unfortunately I can't comment on how effective this eye makeup remover is at removing them. But I do have a couple of stubborn mascaras that can be a pain to remove, and even those are no match for Neutrogena's Oil-Free Eye Makeup Remover. This eye makeup remover doesn't sting my eyes, nor does it give me cloudy vision after use. I do notice a bit of a slippery residue that's left behind on my eye area, bit it's not really a huge deal to me since I always cleanse my face right after removal. I very much enjoyed Neutrogena's Oil-Free Eye Makeup Remover. It's gentle, affordable, and pretty effective. This eye makeup remover is definitely one that's at the top of my favorites list. Needless to say, this is a total repurchase for me. Which are your favorite eye makeup removers? This product looks really good! At the moment I am using my all over 'simple' face wipes to remove my eye makeup because my skin is so sensitive! This looks like it may be worth me giving it a go :) I need something to remove the eye makeup that my face wipes can't! I hope you give this eye makeup remover a try! I have sensitive skin as well, and I love how this doesn't irritate it.